The UK’s Josh Butler, drops the ‘No Frills’ EP via Kerri Chandler’s MadTech Records this March. Josh has been steadily bubbling away on the British underground for quite some time now, and it seems 2014 could possibly see Butler truly shine with a busy touring schedule already locked in for the year. 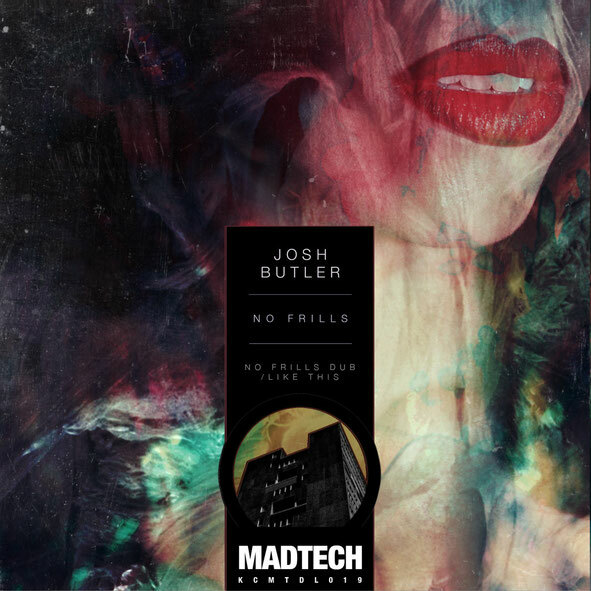 Material on Love Not Money and OFF Recordings further brought to light Josh’s talents and now the Leeds based producer joins the MadTech roster, following the footsteps of Celsius, Mia Dora and No Artificial Colours. Kicking off the single is title track ‘No Frills (Dub)’, which sees Butler play off a rugged, stripped- back rhythm, built around a classic 4/4 foundation, while popping percussion, warbling dub-tinged bass and infectious vocal murmurs meander around the drums. Creating a hypnotic, undeviating groove, given an even more striking affect when menacing synth sweeps draw the attention away from it sporadically. On the latter half of the single is ‘Like This’, staying on a similar tip with loose beats and shuffling snares driving the record. While a hooky sub bass drives the energy and an undeniably catchy vocal line uttering ‘the beat goes like this’ adds a further widespread, modern appeal to the cut. It’s out 3 March.